What began as a small fundraiser for the minor children of the F/V Destination crew quickly gained momentum and turned into a sold-out gala as community members saw a tangible way to help the families of the fishermen lost at sea. Tickets for “A Night Among the Stars” went on sale April 7th, and by April 21st, 300 tickets at $50 each had been sold. Organizers were thrilled, and worked tirelessly to produce an event that honored the fallen fishermen, their families, and the entire fishing community. The event, held on May 6th at the Ballard Elks Club, netted just over $125,000. Proceeds will benefit the minor children of the Destination crew. Donations came from all over the Pacific Northwest, as did guests in attendance. “We just want to do something; we want to help those families, and this is a great way to honor those brave men and offer support.” said one local business owner. Auction items included flying lessons, Seahawks tickets, rounds of golf at local private clubs, overnight adventures, and of course, seafood. If you were unable to attend the gala but would like to contribute, there are several ways you can help. Destination commemorative baseball hats and t-shirts are available to purchase at eJoinMe.org, and donations can be made at any Peoples Bank location in Western Washington. 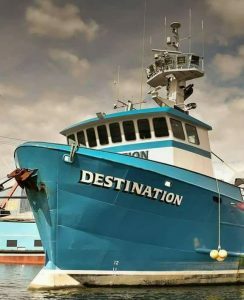 Peoples Bank is administering the fund, and will not collect any fees; 100 percent of all donations will be directed to the F/V Destination Charitable Fund. 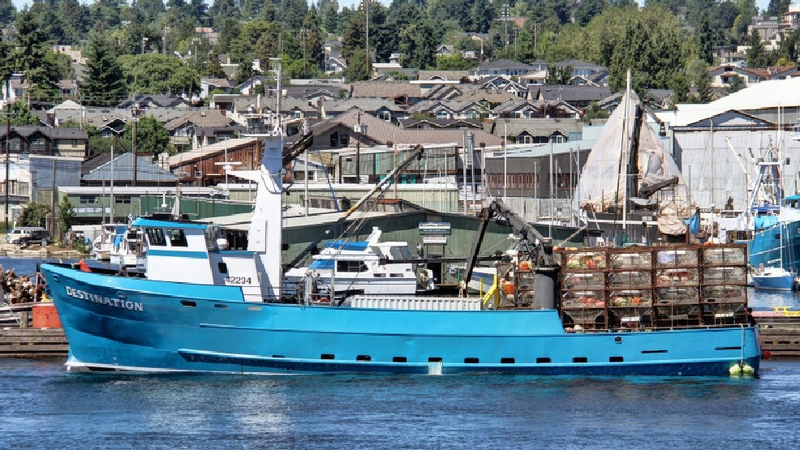 Contributions can also be made by check payable to the “F/V Destination Charitable Fund” and mailed to: F/V Destination Charitable Fund, 999 3rd Ave. #2600, Seattle, WA 98104.